Set on the shoulders are 13 diamonds for their anniversary on July 13, 2011, when they first started dating in high school. Three diamonds are marked with a thin line signifying the first three days of their relationship – the moment he told her he loved her, their first kiss, and their first date. Carved after the last diamond is a set of brick, the same brick which is found at their high school in Connecticut. The prongs are inspired by her favorite flower, the peony. 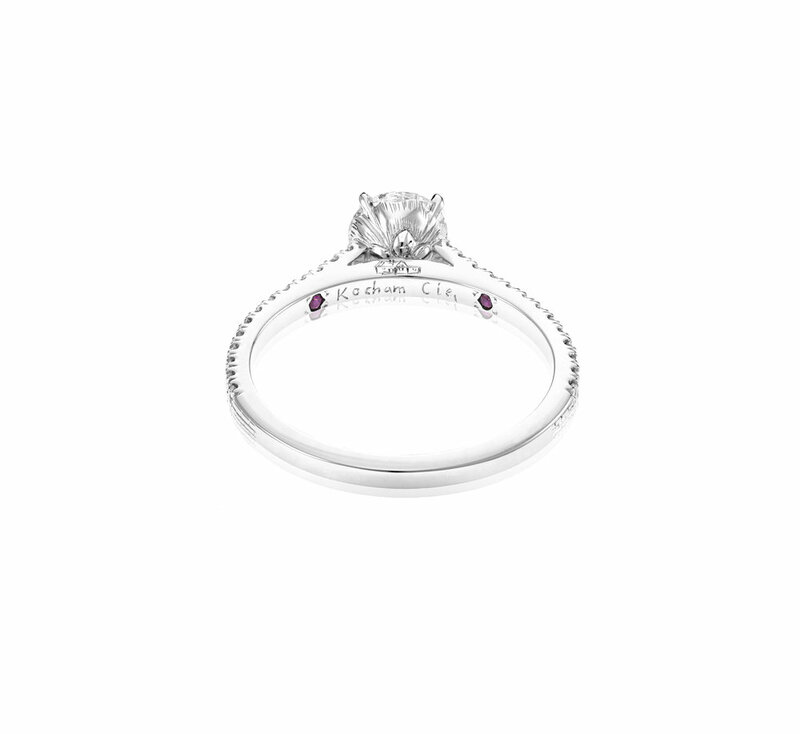 Set on the inside are two rubies, signifying when they first met and when he proposed to her in a castle last month. Engraved on the inside are the words ͞Kocham Cie͟ - I love you in Polish, highlighting her heritage. Carved on the side profile is an image of her family’s Ranczo in Korsze where she was born. The Ranczo Ring features a round brilliant diamond and small diamonds set in platinum.